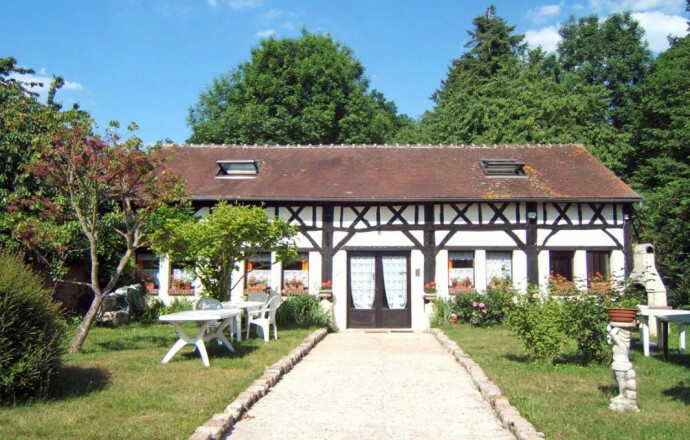 Rural house for 15 people, with fireplace, barbecue and fenced garden. Only 1h from Paris ! 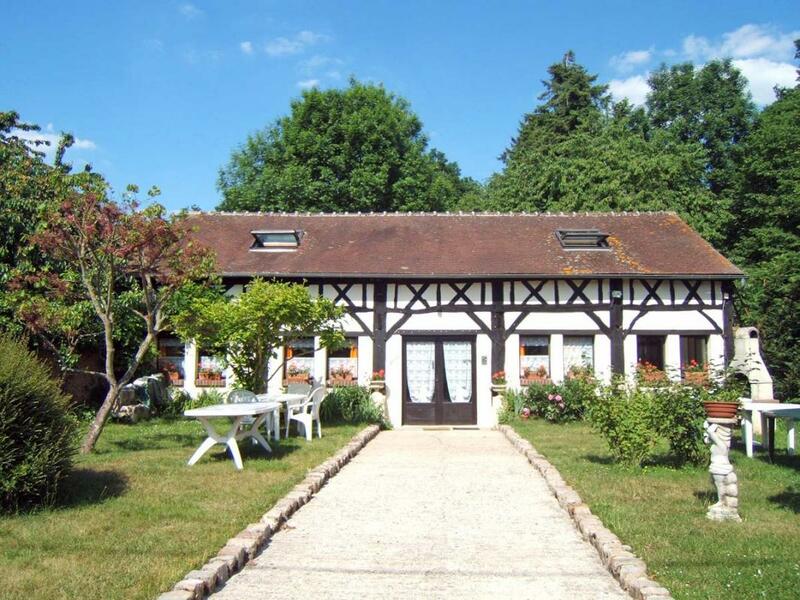 Ground floor: 90m2 living-room with fireplace, kitchenette, sitting room, 2 bathrooms, 2 toilets, 3 bedrooms (2 to 3 people). 1st floor: 2 bedrooms for 4 people, 1 toilet. Hall, TV. Accredited by DDJS. 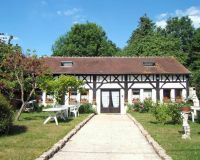 Half-timbered house in the village, fenced garden with garden furniture and barbecue set, meadow.